Having just seen my farrier for service on four horses, it gave me plenty of time to visit with him and listen to his side of the story. There is a lot that goes into a successful visit. Confirm with the farrier the number of horses to be shod. Do not expect to be able to add more once they arrive. If your horse is boarded, try arranging several horses from multiple owners for the farrier to make the visit most efficient. Ideally, these horses would be on the farrier’s regular schedule. While some farriers may bring their own assistant, they may expect you to provide a holder for the horse. The holder should be a good horseperson and familiar with the temperament of the horse. 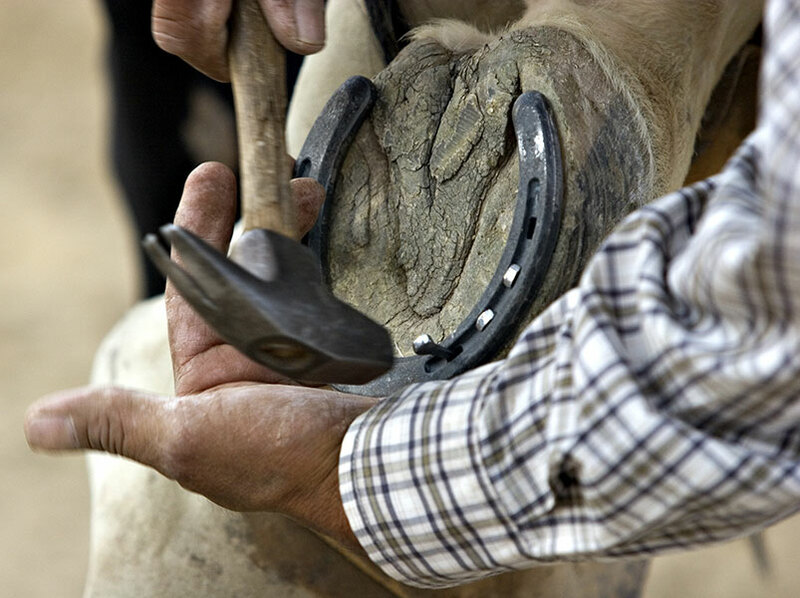 Have the horses caught or in a pen close to the shoeing site to improve the efficiency of the visit. A properly fitting halter and lead are important to have on hand. The farrier tends to prefer a level spot on firm ground or pavement. Accommodate the farrier by taking into account weather conditions and provide shade in the summer and protection from inclement weather. The main concern is safety for the farrier, the holder, and the horse. Most horses tolerate the procedure with little resistance. Some horses, particularly first timers may need additional restraint or tranquilization. Zylkene® is a new product available to farriers to help the horse learn to cope with the challenge of the visit. Check with your veterinarian for more details on how this nutritional supplement may be used to support your horse before and during the farrier visit.